Lanni Marchant is arguably the most popular Canadian runner since Terry Fox. Amy Friel talks to the 32 year old on how she’s pulling no punches as she’s changing the sport. Lanni Marchant’s marathon legacy was born a daydream. It was 1996, an early morning in the high heat of summer. On the television set in the Marchant family home played a live broadcast of the Atlanta Games; Ethiopia, Russia, Germany, and Japan, locked in a contentious battle for gold. Women’s marathoning was still in its infancy, having gained inclusion on the Olympic program little more than a decade before. But the race showed no shortage of competitive depth. These women, the broadcaster explained, were running faster for twenty-six miles than most human beings, male or female, could run for even one. It was a passing remark, but it seized upon the imagination of the then-12-year-old Marchant. Where other viewers might have seen trivia, she saw a challenge. It would be years before Marchant would make the leap to distance running, and longer still before her transition from runner to marathoner would end a decades-long Olympic drought for Canada, shattering a 28-year-old national record in the process. 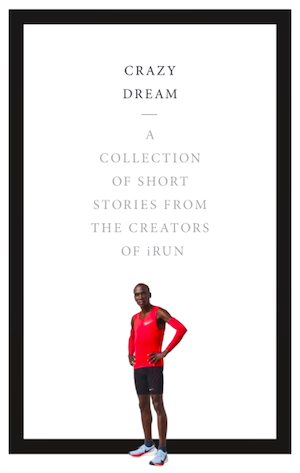 Marchant’s mythology is as much a story of athletic endeavour as it is of grassroots advocacy. A criminal defence lawyer by training, the Canadian record holder cemented her reputation as something of a firebrand, after she famously waged a number of high-profile battles with Athletics Canada, her governing body. Her hard-fought journey from outside-shot to Olympian has been both tumultuous and controversial, and one that has left her with no regrets. The top female marathoners in a country with notoriously exacting Olympic standards, Marchant and DuChene launched an ambitious bid for inclusion on the London 2012 team. After running to breakthrough personal best times at the 2011 Rotterdam Marathon, Marchant publicly launched an appeal on behalf of the pair, now well within the IAAF standard for Olympic qualification. She gave interviews, her characteristic frankness cultivating strong public support for her cause. Overnight, a #LetLanniRun campaign took over the Twitter feed of every road race junkie in the country. Her appeal for inclusion was denied, but for the then-28-year-old marathoner, the fight was far from over; Lanni Marchant had no intention of going away quietly. In the four years since Marchant’s appeal, a groundswell of female elite distance runners have reshaped the face of the marathon in Canada. The Canadian Championships, held at the Toronto Marathon this past October, represented the deepest and most competitive women’s field in Canadian history, while breakout performances from heavy-hitters like Dayna Pidhoresky, Leslie Sexton, Tarah Korir, and Erin Burrett have transformed the discipline, moving from thin-on-the-ground to a critical mass of contenders within a single Olympic cycle. For Pan Am Games bronze medallist Rachel Hannah, who clocked a blistering 2:33:30 debut marathon in 2015 (the second-fastest debut in Canadian history), the trail blazed by Marchant and DuChene has proven invaluable for her own development as an Olympic hopeful. For Marchant, who ultimately earned her place at the 2016 Rio Games in both the marathon and the 10,000m (an historic double-event, completed much to the displeasure of Athletics Canada), the fight for inclusion has never quite felt finished. The battles which have served to define her career have also cemented her status as a role model for many Canadian women, a position that at times still feels foreign to her. 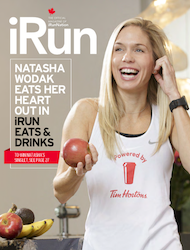 With a recent seventh-place finish and Canadian course record at the New York City Marathon under her belt, few could accuse her of anything less. Yet for all her fierceness and competitive zeal, Marchant seems oddly excited by the idea of relinquishing what is arguably her most famous accolade—the 2:28:00 national marathon record she set in Toronto in 2013. But while the list of athletes eyeing to better her mark grows steadily longer, Lanni Marchant shows little sign of slowing down. In either case, one thing seems unambiguously clear: in the world of Canadian distance running—for both men and women—Lanni Marchant will have changed the sport.